Bachur & Associates specializes in components and systems for UV-based Lithography. 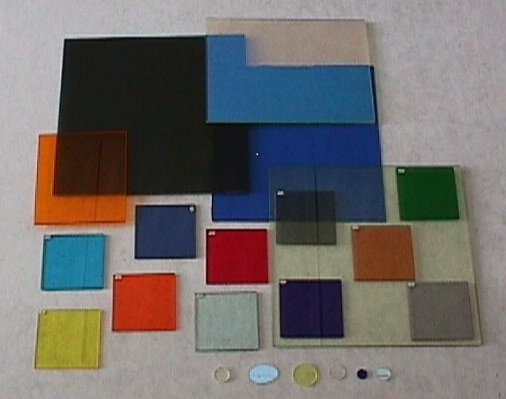 We offer a wide variety of glass absorption filters and thin-film optical coatings in the 220nm - 450nm spectral region. Additionally, we offer anti-reflective and reflective coatings in the 220nm - 1600nm spectrum. These coatings are available in both narrow and wide band versions. 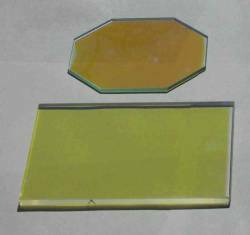 Our glass absorption filters are available in both standard sizes (50mm x 50mm and 165mm x 165mm) as well as custom sizes. Thin-film coatings include spectrums in the Deep, Mid and Near UV regions. Deep UV coatings include the 220nm - 260nm and the 240nm - 280nm spectrums. 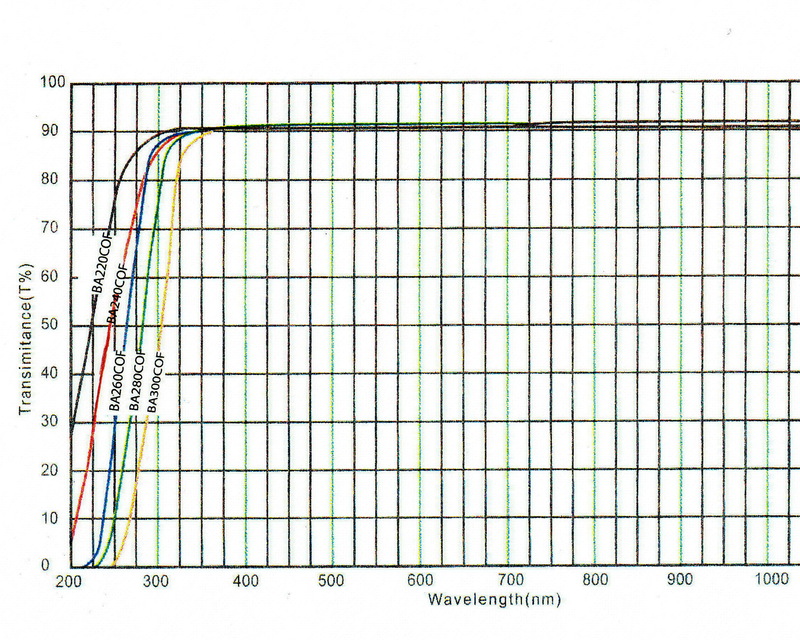 Mid UV coatings include the 280nm - 325nm and NB310nm spectrums. Near UV coatings include the NUV365, NUV400 and NUV436 spectrums.